Ever wondered what is the average amount of time it takes for the U.S. 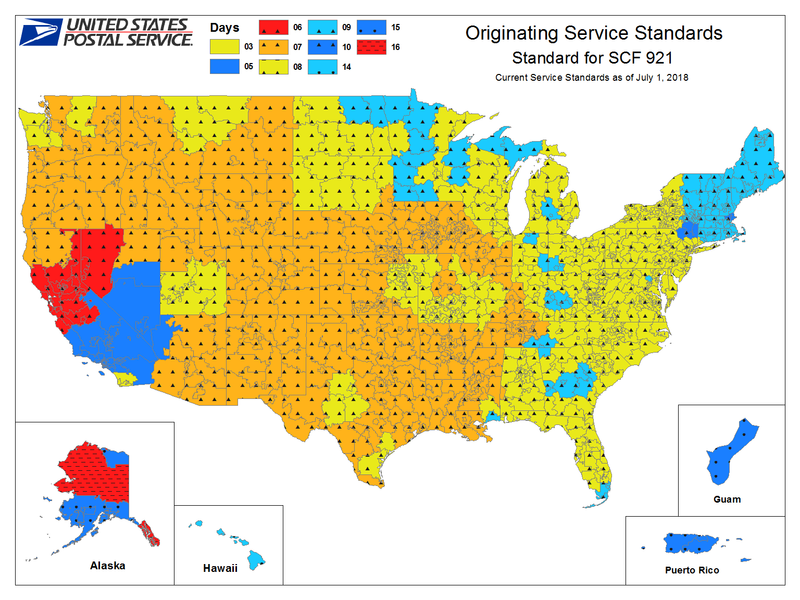 Postal Service to deliver your mail to a certain area of the country? 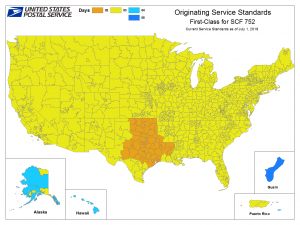 USPS provides this information on a monthly basis with a very handy map tool. Marketers can use this valuable information to determine the ideal drop dates for their mail campaigns. Do you want your mail pieces to hit mailboxes early in the week (Monday/Tuesday) vs late in the week (Friday/Saturday)? With the Originating Service Standards report you review the estimated delivery times from a particular drop location and work backwards to plan your drop dates. 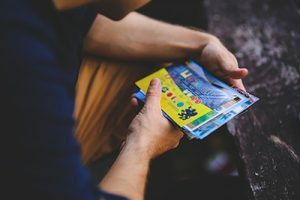 When it comes to direct mail, timing of delivery can mean the difference in a mail piece getting opened the day it is received in the mailbox or sitting in a stack of mail that will not be reviewed until 3 days later. 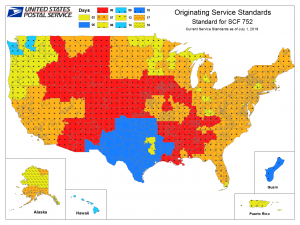 Below are sample reports showing mail delivery service standards for mail drops originating from our Dallas, Texas facility and our San Diego, California facility. You can review both First Class service standards and Standard Class service standards from each location. As you can see, first class will take on average 2-3 days to be mailed anywhere across the United States. We use our Texas facility for the majority of mail that we send out because of it’s central location. Looking at the map, mail will be delivered to most places in 7 days or less when mailing standard class. 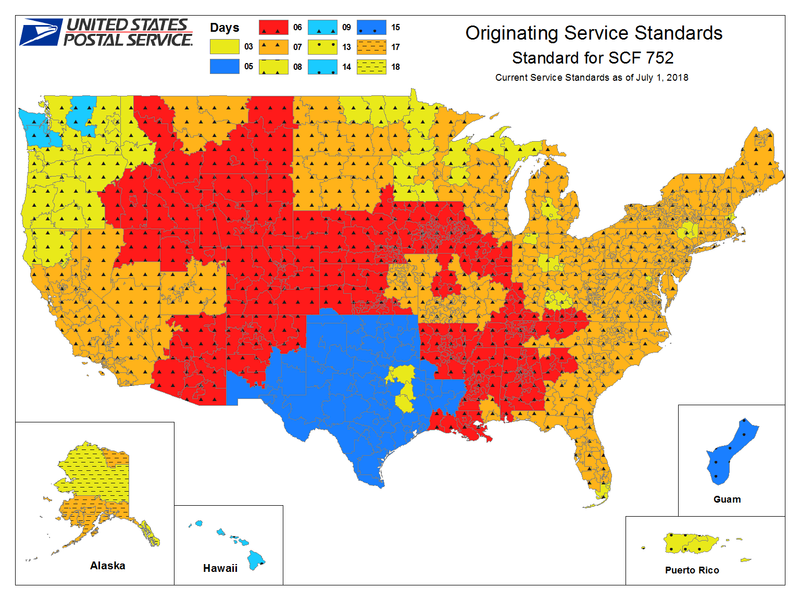 These maps are not to be used for exact in home dates, but more so as a tool to plan your mailings ahead of time. For more help with your direct mail delivery plans, reach out and speak with one of our direct mail strategists. They will work with you to determine the optimal planned mail drop dates that will maximize the chances of your mail pieces hitting at just the right time.